On Nov. 19, Morgan Stanley Wealth Management leaders rolled out a new online platform they have named WealthDesk and which, they predict, will fundamentally alter financial advisor-client relationships. While conceding the firm’s more than 15,000 financial advisors may need time to embrace fully the new technology, WealthDesk will replace a patchwork of software platforms most of them currently use, Morgan Stanley executives predict. The executives also predict the new platform will serve as a centralized and consolidating hub for Morgan Stanley advisors to view and assess their client relationships and investment portfolios. WealthDesk will have embedded Aladdin, BlackRock’s risk management tools, which will make advisor and client portfolio risk scores available to firm managers in real time. If their advisors use the new platform, they will automatically offer clients more transparency, the executives said. WealthDesk-generated summaries will show clients their accounts in aggregation – including accounts held outside Morgan Stanley. Investment advisory fees across services and accounts, as well as Aladdin-generated risk scores will also be available to clients. The Aladdin risk assessment tools, embedded in the WealthDesk platform, will give the firm’s advisors “a level of sophistication not available anywhere else,” according to one of the three Morgan Stanley executives, who spoke yesterday to reporters on a not-for-direct attribution basis at press conference in the firm’s midtown Manhattan offices. WealthDesk was unveiled at the event. In May Morgan Stanley announced it had been working for the two previous two years with a BlackRock team to integrate Aladdin into its software platforms. Serving as BlackRock’s “anchor” client for the Aladdin system has given Morgan Stanley an edge over its rival wirehouses — an advantage that will persist even if the others (UBS, Merrill Lynch, and Wells Fargo) — also encourage their advisors to start using Aladdin tools, one Morgan Stanley executive explained. That’s true because BlackRock has already committed significant resources to knitting its technology into Morgan Stanley systems, he said. And BlackRock and Morgan Stanley are only in the first phase of integrating Aladdin into the wirehouse’s systems; second and third phases of development will follow. Rivals will not be able to catch up, the same executive predicted. With its technology investments, Morgan Stanley is “outspending everyone intentionally,” the executive explained. “We think the future of wealth management is people paired with the best technology,” he added. But when asked about how many of the firm’s advisors have already adopted WealthDesk and how many they expect to do so in the near future, the Morgan Stanley executives grew more circumspect. “We’re not giving specific adoption levels,” one said. Morgan Stanley managers will dispatch “swat teams” to go “branch-by branch” to show advisors the advantages of using WealthDesk. Although in Morgan Stanley’s 2019 compensation plan, there are some incentives to encourage advisors to have their clients use online tools, the firm is not – unlike some of its rivals – adding “disincentives” to dock advisors’ pay if they or their clients fail to embrace digital tools, one of the Morgan Stanley executives explained. About 10% to 15% of the firm’s advisors “are already all over it” one of the executives said about the WealthDesk platform. He expects “a much bigger group” to adopt it in the coming months. And then there will be “a tail of folks” that will resist for much longer, perhaps until using WealthDesk becomes an involuntary option, he said. “That group tends not to contribute as much to the firm,” he said, noting members of the cohort are overall slow adopters. Morgan Stanley advisors’ resistance to adopting the new platform could develop precisely because of what the executives identify as its advantages. “It’s going to get to point where you can take your hands off the wheel,” one of the executives said about future advisors’ use of WealthDesk, its embedded account aggregation, planning, and risk assessment tools, and its eventual integration with the firm’s “Next Best Action” tool, which was introduced earlier this year and analyzes an advisor’s book to notify advisors of opportunities to connect with clients. But advisors understandably might wonder whether when their “hands” are “off the wheel” – and it becomes transparent to clients – will some clients value less their advisory services at a time when the firm’s software also makes fees transparent? The Morgan Stanley executives don’t expect fee compression to follow advisors’ widespread use of WealthDesk; instead its use will give advisors more time to manage client relationships, they said. 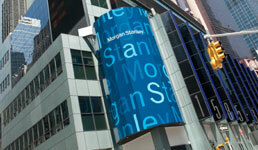 Certainly, with its investment in the new technology, Morgan Stanley has adhered to a widespread trend. Announcements about new technology investments have dominated headlines about the wirehouse channel this year. Last month, UBS announced it had partnered with Broadridge Financial Solutions to revamp its advisor tech platform for its U.S. wealth management business. Cerulli Associates issued a report last month predicting client-facing digital tools will continue to grow as a complement for traditional human advisors. “[D]igital offerings will not replace advisors, but rather improve the way that advisors form relationships with their client and scale their businesses,” the summary of the Cerulli report states. Scott Smith, a Cerulli director who wrote the report, says: “There is some demand from some clients to keep tabs on a real time basis. They are used to touching a button on their phone and having all their questions answered.” As result, wirehouses “are all going in that direction” of spending on new technology, Smith says. “The difference is the degree that they are willing to spend on it,” he says. Although they were unwilling to disclose dollar figures about their WealthDesk investments, Morgan Stanley executives sought to stress with their unveiling of the new platform that their firm outpaces any rival when it comes to spending on new technology. “We can spend more than anybody else,” one of the executives said, noting that his publicly-traded firm’s shareholders will not scoff at the resources dedicated to developing new technology for advisors, given the consistently large share ($4.4 billion in this year’s third quarter) of Morgan Stanley’s revenues that are generated by its wealth management unit.